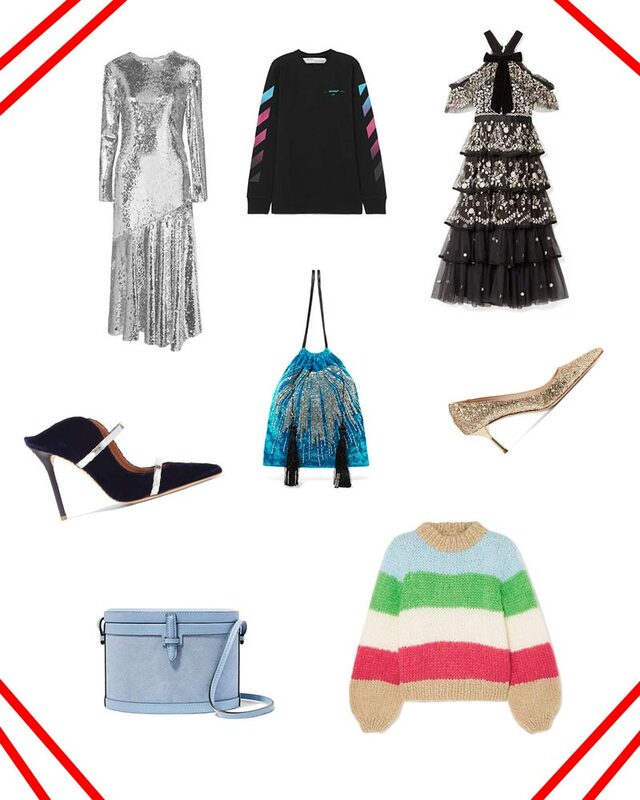 It’s time to shop the Net-A-Porter Fall/Winter ’18 sale. The sale hit this morning and it was worth the wait. I started a wish list here a few weeks ago—be sure to check it out for more items. There are loads of great pieces on sale. I especially love the sparkly Racil dress—so beautiful in silver and such a stunning cut—and the gold sequined Alice & Olivia skirt, which you can use to create dozens of looks this holiday season. There are some lovely bags, too. I have been eyeing a Hunting Season trunk for some time and the baby blue one below is so pretty. There’s also a wicker Ulla Johnson bag in white that I have been wanting to get. The selection of shoes is even better—the Malone Souliers by Roy Luwolt mules and soft pink Miu Miu pumps are absolutely gorgeous. On the other end of the spectrum, there’s a cool pair of Nike sneakers for $50, a few cozy sweatshirts, the kind of workout tanks I’m always looking for—and lots, lots more. Click through for the best items from this fabulous sale. Note that some of the sale prices are not showing up here yet; be sure to click through to see the discounted price.